What’s the difference between a water ionizer and a hydrogen machine? 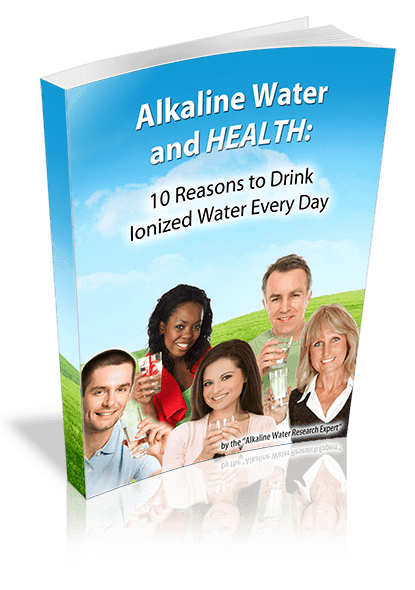 A water ionizer raises the pH of water to an alkaline level, and enriches the water with antioxidant potential. A hydrogen machine doesn’t make water alkaline, but instead generates a small amount of molecular hydrogen. Advocates of both machines claim similar health benefits for their machines, so is there really a difference? Research suggests that there is a difference: Alkaline water has superior antioxidant radical scavenging activity, and it can neutralize acidity. Hydrogen water (also known as hydrogenated water) doesn’t neutralize acidity. Antioxidant alkaline water definitely has a big edge. 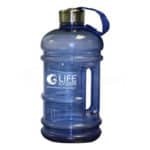 It provides acidity-fighting alkalinity that hydrogen water doesn’t have. Laboratory research that compared the two waters also suggests that alkaline water has superior antioxidant effects over hydrogen water. But that lab research is inconclusive for one reason: Antioxidant alkaline water has a small amount of molecular hydrogen in it, so it’s hard to compare both types of water against each other, because both types of water have molecular hydrogen in them. That fact begs an interesting question: Would it be possible to have one machine that acts as both a hydrogen water machine and a water ionizer so you can combine the benefits of both machines? Yes! 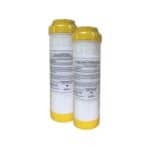 LIFE Ionizers has always been the industry leader in high power, high performance machines. Because of that, we’ve had to deal with and overcome the scale build up problems to ensure our machines run at peak efficiency. Our engineers tried to tackle scale in many different ways, and finally came up with a solution: Our new anti-scale Clean Tek technology. Our new technology makes it much harder for scale to stick to the plates of a LIFE Ionizer, so our machines don’t clog like competing ionizers. We combined our anti-scale technology with our patent-pending Reverse Action Dual Cleaning technology, which automatically reduces and removes scale build up. Together, these two technologies enable us to use a high performance SMPS power supply that enables the performance necessary for our machines to be both hydrogen machines and alkaline water ionizers – without the scale build up. Our engineers pushed our new technology to its absolute limits to ensure it would not fail in service. Cranked up to it’s full 800 watts, we made our LIFE MXL-15 produce hydrogen rich alkaline water with a pH of over 12, and an antioxidant ORP of over 1,000! That level of performance is simply unheard of in a water ionizer. But our MXL-15 did it, without becoming clogged by hard water deposits. In fact, we are so sure of the durability and reliability of our top-of-the-line LIFE Ionizers, we guarantee them – both parts and labor – for life! LIFE Ionizers is the only brand of water machine that gives you both: Hydrogen rich water and antioxidant alkaline water – in the same glass! Why settle for a machine that can only produce hydrogen? Get a Life and Get it All! 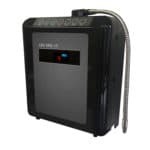 Buy a LIFE Ionizers, the only machine that is a hydrogen machine AND a water ionizer. Call us at 888 758-4319 and get the benefits of both!